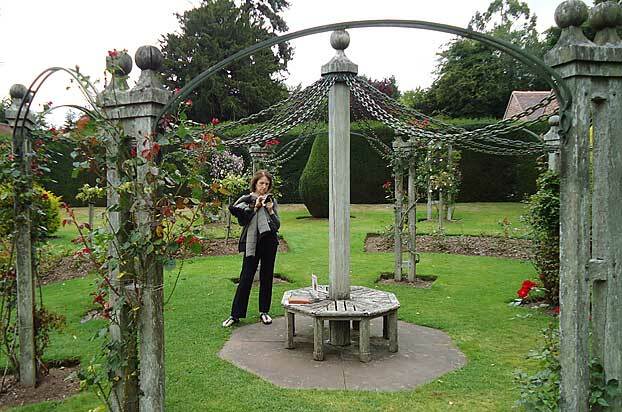 Wightwick is proof that the National Trust do not only look after stately homes once belonging to the aristocracy. Although there was a manor house on the site the present property was built in the Victorian period for the Mander family who were the owners of a major paint and varnish manufactory in Wolverhampton. 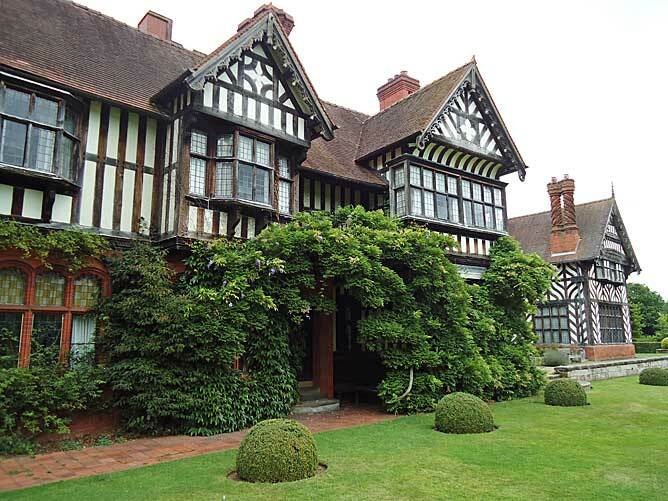 Theodore Mander asked his architect Edward Ould to build a neo-tudor building complete with mock medieval Great Hall next to the remaining buildings and malt house of the old manor. 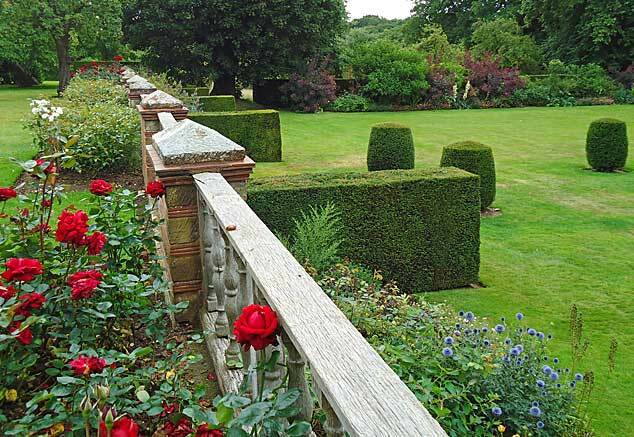 The house is now famous for its associations with the Arts and Crafts movement and in particular William Morris. 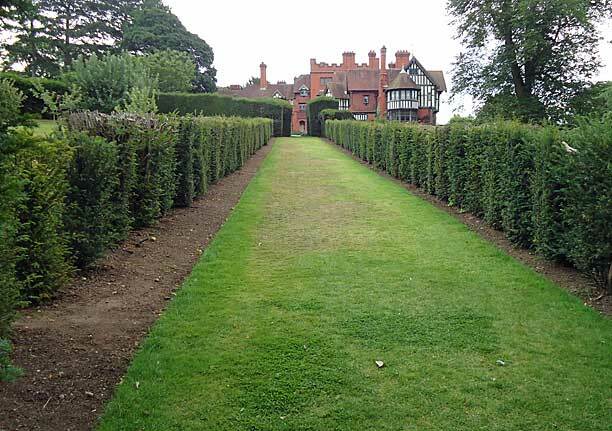 The gardens were originally laid out by Alfred Parsons from 1887 onwards and he developed a series of compartments with clipped yews. 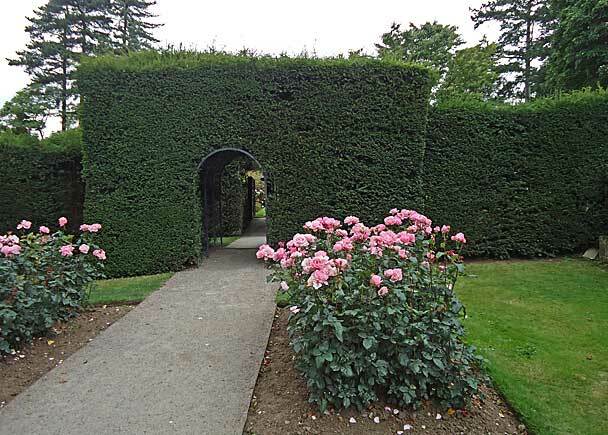 Thomas Mawson of Windermere in the Lake District added more topiaries in 1906 as well as more hedges particularly in the rose garden near the house. This is the second time I have visited and there is much that has been renewed in the garden. 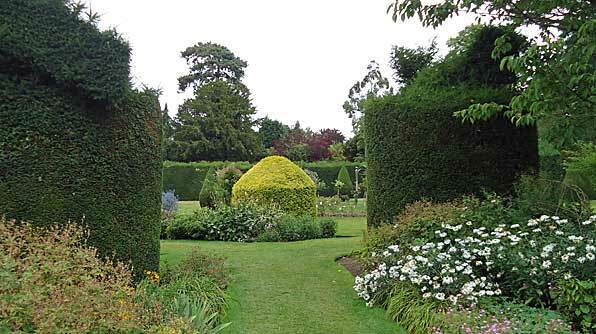 Many of the birds in the Rose Garden on top of yew hedges are being reformed and the columns in the main lawn to the side of the house have been renewed with new trees. These will expand over the next ten years to be the same size as they once were. At present they look a bit odd being out of scale with the surrounding area but will look magnificent in time. 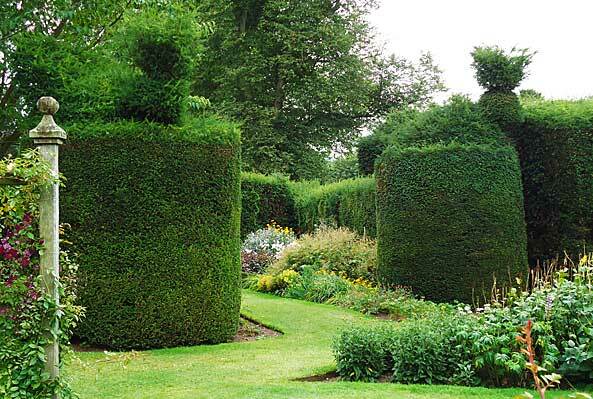 This only goes to prove that topiary is not a quick art and nature cannot be rushed. 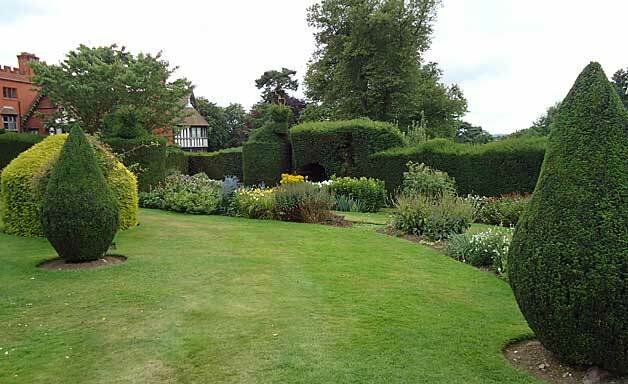 Part of the formal gardens are known as the Poet’s Garden as many plants and shrubs were started from cuttings donated by people such as Shelley, Tennyson, Dickens and William Morris himself. Further away from the house is a pleasant woodland with two ornamental lakes. energy. Don’t miss the collection of rocks which were brought down from the Lake District and Scotland by glaciers during the Ice Age. The estate is not as large as it once was under the Manders but you are given a map when you first arrive to find the herb garden and other areas. The house is well worth a visit to see fantastic paintings by Dante Gabriel Rossetti and his followers and there are some very interesting tiles and other ceramics by William De Morgan. There are very friendly guides throughout to point out areas of interest and they even let you play billiards in the games room should any of you actually know the rules! The great hall, built to meet visitors, is well worth the entrance money on it’s own but don’t forget the topiary. Incidentally you get different views of the garden from each of the rooms and these are especially interesting from the first floor bedrooms.